Landscape Design firm Jungle Design asked SAS to propose a simple 500 square foot building to house a design studio, sales office, and storage for an open lot in Williamsburg, Brooklyn. After analysis of their spatial needs, building code, and intended use of the site, we suggested a simpler proposition than a small building- we proposed a large roof. To provide for a secure three-season office space we suggested fabricating a simple painted wood enclosure under the large roof. The rest of the space below the roof remains open and flexible for various uses by the owners. 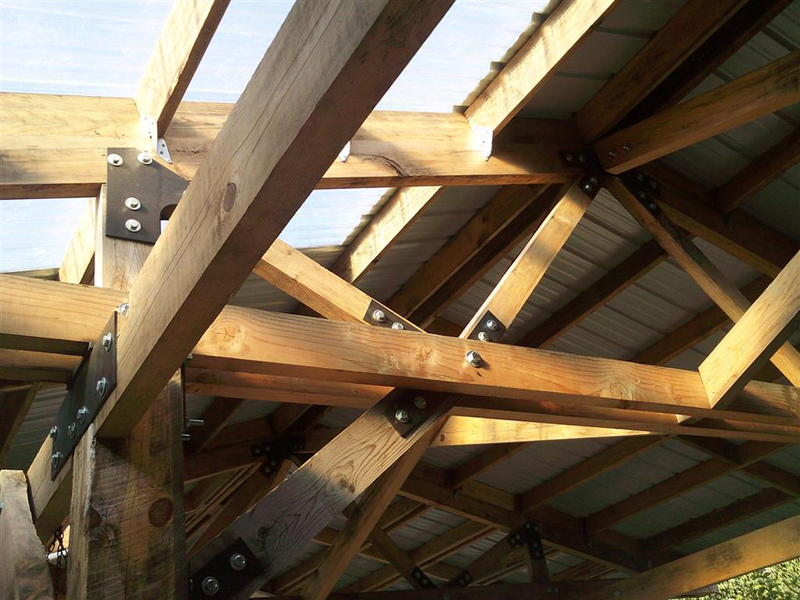 In conjunction with a wood worker and engineer, we developed a 25’x50’wood roof structure tied to a smooth concrete slab.